From taking my makeup off before going to bed at night, to moisturizing and UV protection, my mom definitely passed down much of her skincare wisdom. Obviously she would always say that drinking lots of water and getting enough sleep is the best skincare regime, but honestly, who has time for sleep anyway? This is why it's imperative that I find the best products out in the market so that I can repair any damage done from my hectic lifestyle. Since ancient times amber has been priced for more than just its beauty. It was believed to be sacred due to its healing and protective properties. Just like the prized gemstone, this collection promises to preserve your natural beauty and address any concerns around the eye area. My sleep patterns can vary and I often don't get as much rest as I should which causes my eye area to look tired, so I often look for products to remedy that. 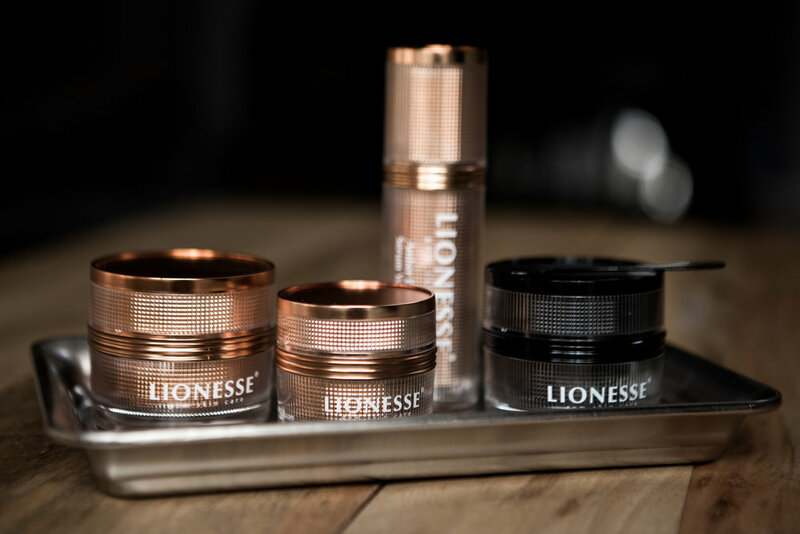 The three step eye cream routine by Lionesse has really helped get rid of any under eye puffiness and leave the eye area looking younger and well rested. I always start with the Amber Eye Serum, which acts as a first base to tighten the under eye area. I then alternative between the Amber Eye Cream to deep nourish the area or the Amber Dark Circle Eye Cream which works wonders to get rid of any unwanted pigmentation around this sensitive area. I really like how light the formulas are a little goes a long way, and of course the decadent gold packaging sure looks good on my bathroom vanity. Another Lionesse products I've been loving recently is the Black Onyx mask. This formula focuses on anti-aging ingredients that are sure to make you forget the past and embrace your new skin. Black onyx is believed to have protective energy as a gemstone, which is exactly what I want for my complexion ;) The mask has a warming effect when applied and this helps eliminate dirt, oils, and other skin damaging pollutants. As soon as you remove it your skin is left feelings silky smooth. I love adding it as apart of my routine when I'm home on a weeknight and it helps me feel relaxed and pampered. What are your favourite tips to get rid of under eye bags and achieve glowing skin? Comment below!